This post is sponsored by Rosie Posie Designs. Happy Thursday!! Today, I have a fabulous giveaway to share with you from one of my lovely sponsors!! Rosie Posie Designs is a darling etsy shop that specializes in personalized melamine plates and iphone covers. Their designs are fresh and pretty. 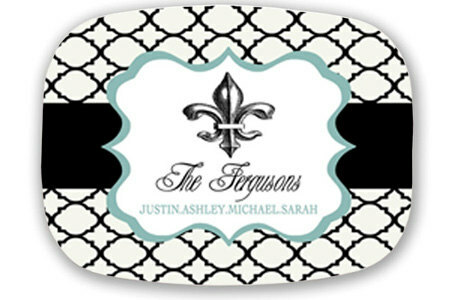 Great colors...fun designs...and all of them available for personalization! 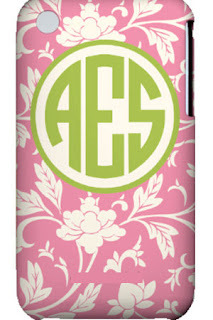 Check out this simply adorable iphone case. Love. it. This tray would be so fun on an entry table to catch keys etc. Darling plates for the little miss or mister in your house as well. And check out this cute holiday tray. The gift giving possibilities are endless! You'll want to bookmark this shop for sure! Today Rosie Posie Designs is offering one reader of the Shabby Nest a $40 store credit to use on anything in the Rosie Posie shop. Use it to get a hop on your Christmas Shopping - or use it on yourself! The only trouble you'll have is narrowing down what you want to get! To enter simply leave a comment on this post. That's it! Easy Peasy. Giveaway is open until Saturday, September 10 at 11:59 pm MST. This post was sponsored by Rosie Posie Designs. The opinions expressed are my own. Such a cute shop! I'd love to win! What a clever, unique idea! oh i love this shop!!! thanks for a great giveaway!! love your blog. The creativity of other people just amazes me. Gorgeous gift items. Her plates are really gorgeous! Great gift items!! Thanks for the giveaway! I've seen her shop before and love her style. Hope I win this! Oh! I have a very ugly i-phone cover that I am dying to bin. I love their iPhone covers! So pretty! Cute!! I would love to win. I love these plates. I love the idea of a personalized tray. Thanks for the chance to win! I like this shop a LOT....thanks, I'll bookmark it! Oooh! I would love to win! The personalized plates look so fun! These are so adorable! Love the personalized touch! Count me in crossing my fingers and toes! I love this! The personalized trays are great!! CUTE designs! love that iphone cover! off to chck out the rest of the shop! Wonderful items for gift giving! Love the designs! I'm thinking some personalized plates for my girls would be a fun surprise. Woohoo! Cute cute cute designs =) Great giveaway. I love this shop! Such unique and gorgeous products. Wonderful giveaway! Thanks for hosting it! I love love love these cute ideas. Christmas shopping here I come! Such cute stuff...Love the platters! So many cute things, I'd love to win!! Thanks for the giveaway. 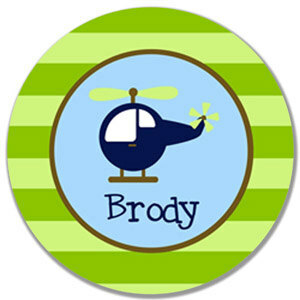 I LOVE the helicopter personalized plate!! SOO cute!! I have seen lots of these plates and even ordered a couple. These are by far my favorite. I love all the variety of color and texture! I love black, white, green and red ! Great job! I love the Christmas plate idea! Cute stuff! What a great gift idea! I'm so glad you highlighted this shop on your blog, otherwise I probably would never have found them. Such a creative shop, I'd love to win and use a cute iphone case! How fun! Those would be great for giving away cookies at the holidays. I love her stuff!! All of it is SO cute!! Any of her items would make perfect Christmas gifts! Everything is so cute!! Great gifting ideas, hope I win. Cute stuff! I'd love to win. Thanks!! I love the plates - what a great gift idea! Cool! I love that iphone cover, so cute! Such cute designs! These would make terrific gifts, too. Thanks for hosting this giveaway! I want a plate for each of my kiddo's, they are so great! I really really need a iphone cover...like desperately! Totally want to win this. Thanks for hosting! I love personalized things. Thanks for the giveaway! Thanks for the great giveaway! 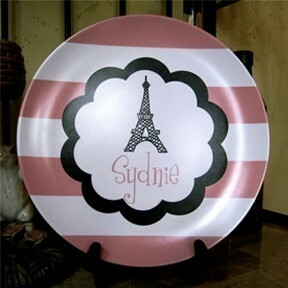 My daughter would love a plate with her name on it! really cute items- great giveaway! I love those darling personalized trays!!! Too cute! I love their shop.They have such cute things. I am love with the Christmas tray! What a great way to make sure you get that holiday cookie plate back! I LOOOOVE Rosie Posie. Thanks for the chance to win! I'll be holding my breath and crossing my fingers. I've been wanting the iphone cover for a while now! 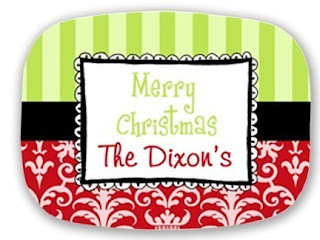 Personalized stuff always makes a great gift! Oooo, I hope I win! I love the Halloween plates! So cute. Thanks for the giveaway. I would love a cute little plate like those!! I would love to win! Thanks for the giveaway. I love reading your blog! It would be so hard to narrow it down to one thing! Thanks for the giveaway! Thanks for hosting your link-up every week and the chance to win something dreamy. I wouldn't even know where to begin! Everything is amazing! Love the plates - it would be great if they had a tray to put my jewelry! Would love to have a plate for my sweet baby boy! !